Seniors want to stay in control of their lives and care. Self-directed care for seniors allows them to pick and choose the services that they want and need. When assessing elderly patients for self-directed care, you need to take several factors like daily function, safety and medical needs along with social needs into consideration. Self-directed care is an alternative method of administering services to senior citizens in a way that expands individual control in selecting what services are needed. In the last ten years, this approach has become widely accepted internationally in both home-based and community-based care scenarios. The overall goal of the self-directed approach is to improve the quality and effectiveness of care provided in these situations, with the added bonus that participants are more satisfied with their care and life in general. Another benefit is that self-directed care reduces costs. Self-directed care laws differ slightly from one state to another, but in essence it is a system that encourages senior independence and involvement in selecting caregivers and the services they provide. This is often an ideal solution for many senior citizens and provides the exact care they need in order to be able to stay in their own home instead of giving up their independence for a nursing facility. Since this approach is "self" directed, when assessing the elderly for self-directed care, they are involved in the entire process. If possible, it is best to involve everyone who plays a part in the caregiving process, so talk it over with the senior and ask for their agreement to include anyone who plays that role in their life. Involving the elderly in the decision-making process makes them feel included. Getting their views and tapping into how they feel is important. One area that needs to be assessed when considering self-directed care is day-to-day functionality. This includes matters of hygiene, housekeeping, the preparation of meals and the running of errands or keeping of appointments. The assessment should determine which of these areas may require help to improve the participant's quality of life. Tripping hazards including: computer, electrical, and telephone cords; rug edges, runners and mats. Fire hazards such as: smoke detectors that don't work, overloaded electrical outlets, and space heaters. If necessary, consider installing additional outlets. Adequate lighting: Inadequate light can also result in tripping if a hazard lurks in the shadows. Be sure adequate lighting is available by using maximum wattage bulbs, adding more lamps and using night lights. Clear walkways: This requires the removal of clutter and may even necessitate furniture rearrangement. Presenting it as a safety issue may make the changes a little easier for the elderly person who finds comfort in their familiar setting. For a complete safety checklist visit workingcaregiver.com. 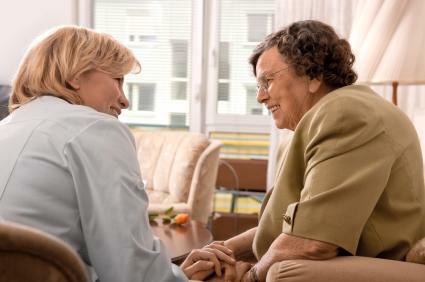 Talk with the elderly person regarding their current medical state. What medications are they taking? Do they need an inhaler or other medical supplies? Getting input from caregivers, in the presence of the individual, is helpful. Everyone involved wants to be sure the elderly person is able to follow instructions and take the necessary steps to support their health, such as taking medications at the proper times. If the individual is no longer able to responsibly care for himself in this way, the assessment process will bring concerns to light. The senior's primary care physician and other specialists should be consulted to determine what service to include in a self-directed care approach to home health care or whether another approach should be considered. One last area that may have to be discussed during the assessment process is finances. Although health and in-home care to be hard-to-talk-about issues of a personal nature, getting people to talk about their finances can be an even touchier subject. Not only that, but it is a complex area that needs to be looked at by someone with knowledge or experience. It will require an understanding of what is considered income and what financial help is available through, federal, state and local agencies. Including the patient in this discussion, as well as all other discussions for consideration in self-directed care, will help them understand the scope and complexity of care and its costs. When talking about the costs of home health care, seniors can get an accurate view of how staying at home compares to entering a nursing home, allowing them to make an informed choice on every level, including the financial one.